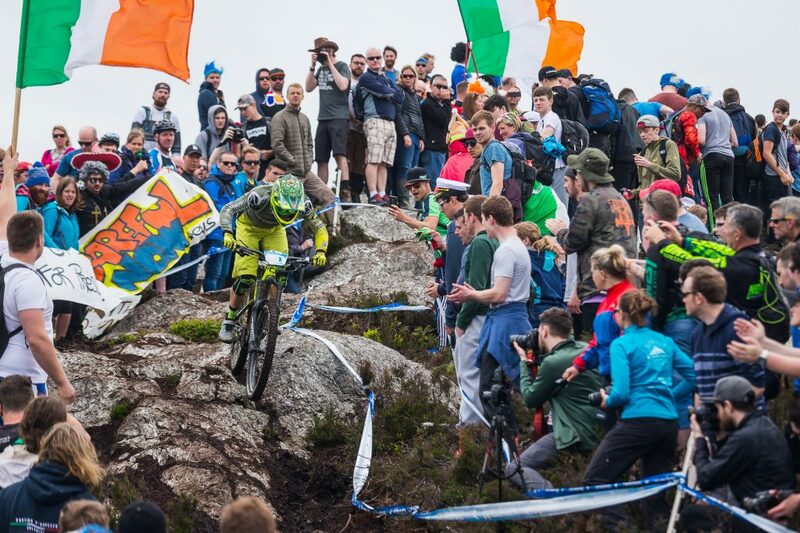 The 4th round of the Enduro World Series takes place in Ireland where the famous crowd is ready to cheer for the riders. 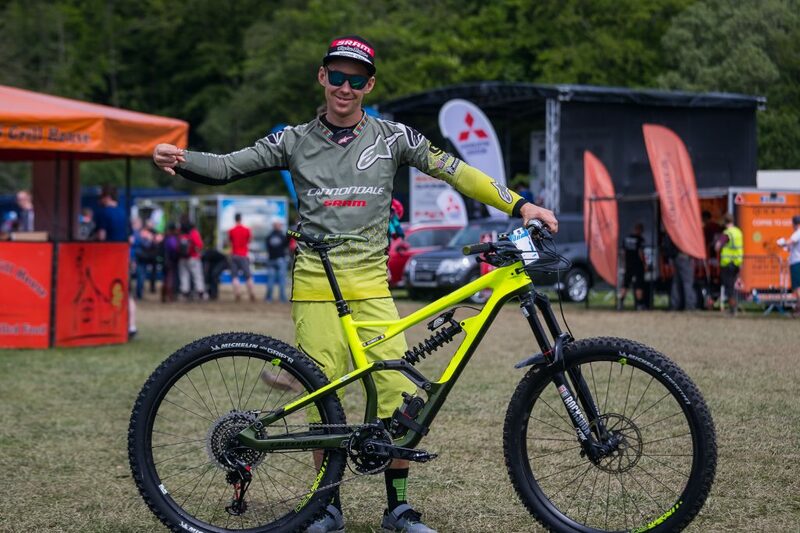 This one-day race was intense with 46 km and more than 1500 meters elevation. Different skills are required to deal with the typical « Carrick mountain » terrain where 6 technical stages are waiting for the riders! 2 seaons in one week-end! During the 2 days of practice, the riders experimented the 2 opposite weather season of Ireland. From a hot and incredible sunshine day on friday to an heavy rain on saturday, the tracks conditions were extremely different! But that is the part of the game to be ready to ride fast in every situations; the race will be sticky ? muddy? slippery? We don’t really know and the tires choice will be decisive. The race was tight again as the stages were short! 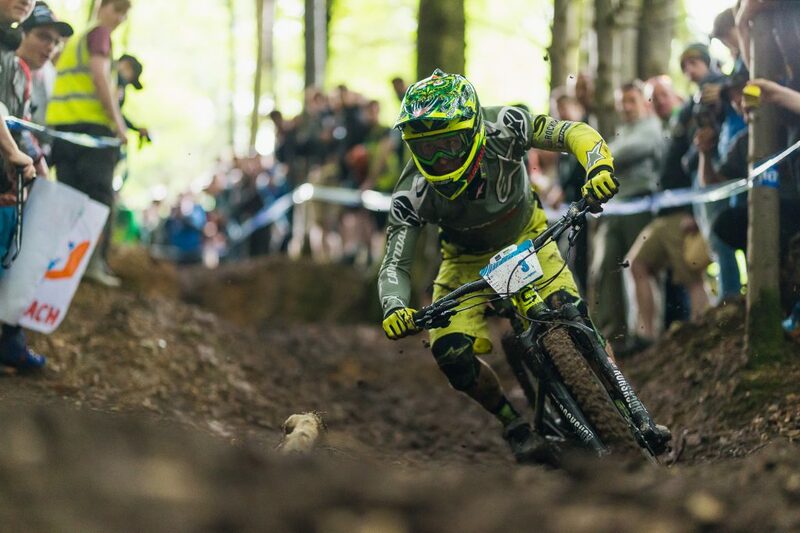 It was a good day of racing for the team, Jérôme felt awesome on his bike and he was charging hard all day. He managed to do some top 5 stage position. Before the last stage, Jérôme was sitting in 4th position all but unfortunately he had a crash on the last stage which sends him on the 7th spot. Jérôme : « I tried hard today and I got lucky few times by saving it from tricky situations, and even my results could have been closer to the podium despite my crash on the last stage, I am super happy of my riding all day! 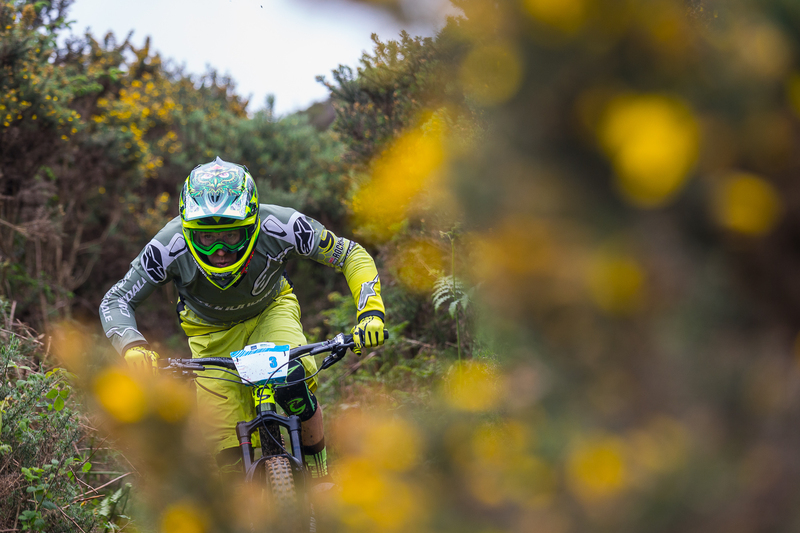 In enduro nowadays if you want to be up front you need to be on the limit and make it happen.